It’s been a few weeks since I started the process of setting up my new laptop. 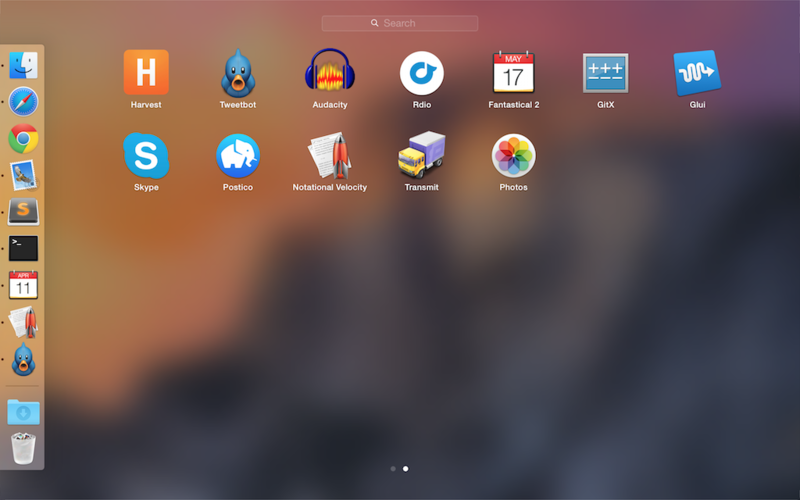 I wrote previously about which apps and tweaks I made immediately after unboxing. Now I’m back to share what I’ve done since. The most surprising thing to me is that I’m still dual wielding. It’s been pretty nice to have the new machine always plugged in and configured with multiple monitors and the old machine floating between the desk, upstairs, and my travel bag. It’s almost as good as having a day phone and a night phone. Let’s see what’s changed since last time. I’m still only installing apps out of necessity, but it turns out I need a lot of ‘em! Tweetbot — the best-in-breed Twitter client. It’s getting a bit long in the tooth, but it’s still indespensible. I will buy version 2 as soon as it hits the App Store. Audacity — I was hoping to get by with just Audio Hijack, but it turns out Audacity is still better when recording many takes of the same content (for ad reads, intros, etc.). What’s worse: it is brutally ugly on a retina display. Rdio — I love the web, but for the web services I use all-day-every-day (Slack, Rdio, Harvest), I’ll take the desktop app, please. Even if that app is just wrapping a web view, as is the case with Rdio. Fantastical 2 — So much better than Apple’s Calendar it isn’t even funny. Skype — Skype could’ve gone away if Google hadn’t attached Hangouts to a dead, rotting corpse. GitX — I hop back and forth between Git’s CLI and GitX. GitX is great for staging changes, especially when staging hunks. There are many GitX forks out there, but I’ve found Rowan James’ to be the best one. Glui — For capturing, annotating, and sharing screenshots. It’ll post to CloudApp (boo!) or Dropbox (yay! ), but mostly I just drag images from Glui to whatever Slack room I’m currently active in. Postico — An awesome PostgreSQL client from a former Sequel Pro dev and current maintainer of Postgres.app. Notational Velocity — there is a fork that’s quite popular as well, but I have been happy with NV for private note taking. Transmit — the only thing surprising about seeing Panic’s SFTP/S3 client in this list is that it didn’t make the “Instant Installs” list. Super useful. I can’t recall all of the little tweaks to the stock OS that I’ve made since my last post. However, I did revisit my osx script in my dotfiles, which has tons of goodies in it. 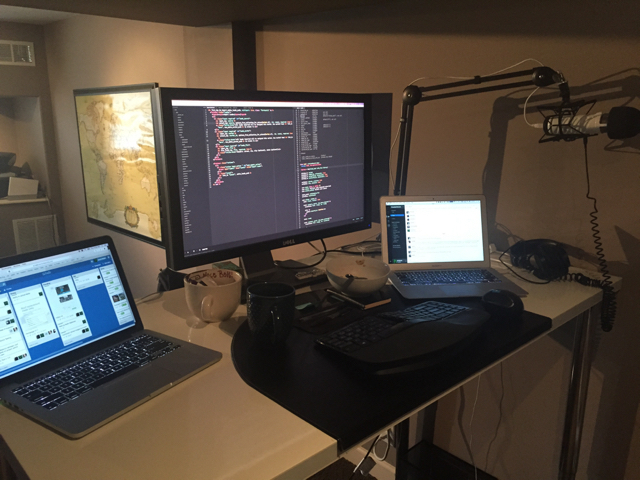 Check that out if you’re interested in streamlining OS X for a hacker’s workflow. So far I’ve been able to go without Sparrow and iTerm, but it hasn’t been easy. If I go the distance with Terminal.app and/or Mail.app I’ll probably write up a little something about it. Let me know if you’re interested in that or not. I’ve been running low on writing time lately! If you enjoyed this Ecosystem post, you'll probably enjoy reading New Mac: Instant Installs, What Continuity Means to Me, and How we use Trello to generate The Changelog Weekly.